Dear all readers, investor and traders alike. Lately, there had been high interest on stock related to Sarawak. It may be a coincident, it may be not, but a matter of fact that the next major election will be the Sarawak State Government election that will be held before 2021. Coming back, Sarawak state government already reported a record breaking state budget to improve the lives of people as big as RM 10 billion, of which RM 9 billion is planned capex. This is a very good for Sarawak related companies, especially construction, manufacturing companies. Because of this, Sarawak companies are on fire, which is also partially helped by the surging stock of NAIM, DAYANG and PERDANA. Then, another big news that came on is anti steel dumping tax imposed on flat steel import from China and Vietnam. All the imports will be tax to a tune of 15% in order to make a fair market competition. As you can see, YKGI already at the very lowest lowest point of life, and now is the time to resurrect into life!!! YKGI is Sarawak Home Grown steel manufacturer (Flat Steel + Galvanized Steel). 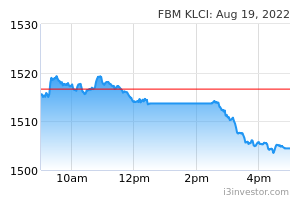 YKGI already done all the impairment and lose disposal (klang factory disposal), so it will be running on a clean sheet in the coming days, together with anti steel dumping tax protection law to protect their prices and profit margin, then YKGI will be going to report strong earning. Sarawak Factor + Anti Flat Steel Dumping = YKGI !!!! This will be a great combo and YKGI should be a main trading focus in the coming day.